Key West 2007 has come and gone and. from all reports, the weather was "...stuck on gorgeous" (as per ESPN commentator Gary Jobson). Not to mention the sailing terrific, the bars overflowing and the general vibe just about pitch perfect for this annual sailing extravaganza. 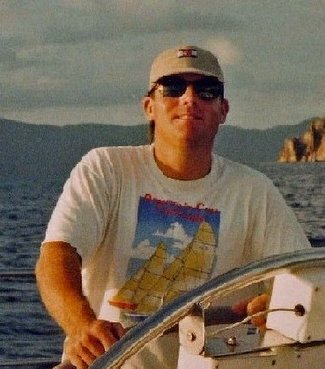 I haven't competed in a Key West Race Week in nearly ten years but every time since I've followed from afar and, more than any of the other annual regatta's I've done (from the Rolex St. Thomas to Block Island Race Week) - I miss being part of this one. 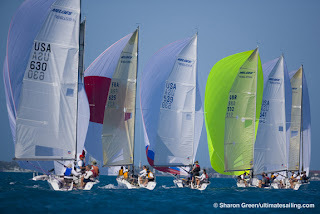 There's just something about it...the proximity to the U.S. (we all know Key West is not really part of the U.S.) attracts some of our most competitive sailors as well as flocks of the better and more organized weekend warrior from all over the country. Sure Key West has become a world class tourist trap...but the island feels designed from the ground up for the sort of carnival sideshow that naturally proceeds from hoards of hard partying sailors overflowing with tropical sunshine, rum, racing and revelry. And to make those of us who stayed behind even more envious Jobson is filing video reports...damn the man!